We got it, these customer satisfaction quotes demonstrate the benefits of true customer delight. Before you launch to improve your client ecosystem, you need to have a thorough understanding of what parts fail. And this decision making has to be based on something more solid than guesses. This is why it’s crucial for any business that takes their job seriously to reach out to the customers on a regular basis and start asking specific questions. At this point, there are tons of strategies and approaches to measuring customer satisfaction you can resort to. It is noteworthy that this variety of know-how techniques is there because each of its elements coexists with each other fulfilling different purposes. Keep that in mind when crafting your own customer satisfaction journey. First, check all your current feedback. And I mean it when I say all. Customers share their experiences all over the web, ranging from chat sessions to forums and social networks. So in order to have a clear picture of how satisfied your customers are, make sure you do your research and gather takeaways from it. Come up with a survey template. Some things come and go. Some are here to stay though, like surveys that are still a great way to assess your customer satisfaction. If you studied feedback as described in step 1, you should probably have an idea of what critical points need to be addressed. Include them in your survey template and think of other things that can be helpful. Find perfect timing for your survey. If you’ve ever been surveyed (at least once), you know that it’s more like doing a favor as it takes the time you might have a better use for. So timing plays a crucial role here. Some prefer to trigger surveys after the onboarding is complete, some after a significant cycle is over. Knowing when to survey will help you not only get quality answers but also get more of them in general. Act on this information. Going through all the steps above is important, but what is more important is actually putting that data to use. Try to prioritize possible improvements and get the most of them. How To Ensure High Customer Satisfaction? For better or worse, there is no ultimate answer to this question. Each business niche has its own peculiarities that make the use of patterns almost impossible. So it’s all about finding what works best for you. Find an ideal way to enchant your customers by focusing on 5 stages of customer satisfaction. Finding a potential customer and providing them with your service is the first step to make them happy. But there are something things that go into customer acquisition. And the most challenging part is that you probably don’t even know where to look in the first place. If you just started and don’t have any historical data to fall back on, the process of customer acquisition can be quite challenging and will entail a significant amount of trial and error. But there’s nothing wrong with it, every business has to go through that. Include a CTR button so that a person can make the first step immediately. GetResponse tool can help you execute your email campaigns in a more efficient and organized way. 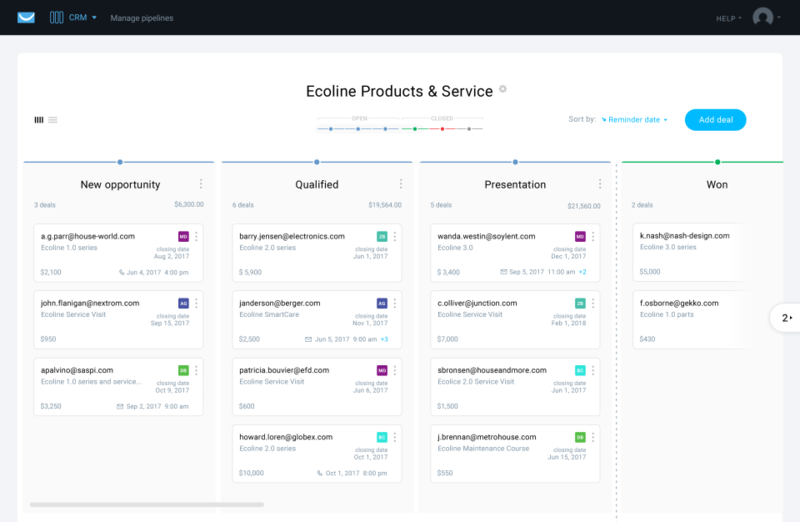 In-depth analytics, automation, A/B testing, handy features, everything to make sure you get the most of your emails. Ads do a great job if applied mindfully. In the era when huge amounts of data are collected and processed to target users on a whole new level, advertising can be a real needle-mover for your platform. Inbound marketing is on the rise now as another powerful way to gain new customers. By creating top-notch learning materials and tutorials, you increase your chances to find people that are already interested in what you do. It is not only about creating content so your prospects can find you, but also about promoting this content. Platform such as Zest.is work great to curate and promote valuable content. 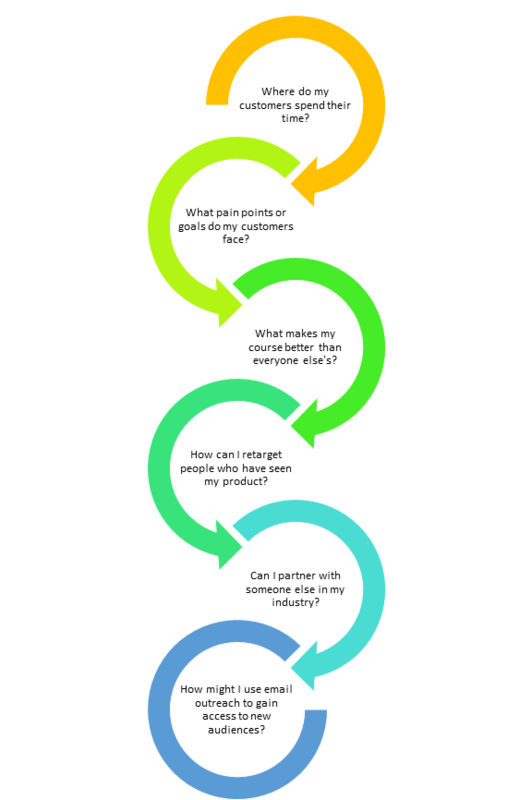 The success of the first steps a client makes when entering your platform can determine if they stay or move on. This is why you need to create an easy-to-follow onboarding sequence for your users so there is nothing in their way that can damage the experience. There are a lot of ways you can go about your welcome email. You can simply say ‘hi’ and back away to give users some time to check the software. Another way to go is nudging them toward specific steps, providing links to useful resources, etc. In doing so, you help them find what they might need while also playing it smart and funny like the guys from Rabbut. Through sign up forms, you get to know your users better and can use that information to adjust your system for them. Think of the core questions you what to know about, and prompt every newcomer to fill that questionnaire in. Don’t forget to mention that it’s for their better experience. Sign-up forms have to be properly designed, no matter the importance of the form. Whether it’s for your newsletter or your application, makes sure it’s quick and smooth. I think we can agree that if your users know how to get the most of your platform, there’s much less confusion that might make them churn. Creating educational tutorials (especially, videos) is a great way to help your users along the way. It’s recommended to opt for a tool that could make things easier for you. Walking customers through is a perfect task for UserPilot, a platform that provides behavior-driven solutions and offers rich options to customize your onboarding process to the details. Customer service is an essential factor for your development. People that use different online platforms expect a high level of customer support. Not only because the bar is set so high in modern days, but also because lack of communication or simply poor customer support skills can translate into loss of money and lower customer loyalty. It’s become quite common for all online businesses to have 24/7 assistance for any types of queries and requests. – be proactive. A lot of times, when a person joins the chat, they have a certain issue to deal with literally no idea how to fix it. This is why by being proactive, asking questions, you can better understand what the main customer’s concern is and what solutions you need to apply. – keep promises. And this rule can go a long way. Even if you promise to give an answer within a certain period of time, do your best not to disappoint the customer. Remember, it’s usually the small things that matter. – go the extra mile. Extra miles are often associated with true feats, but, usually they are quite easy to do. Your customer is confused with a certain term? Try not to send links to resources, instead, explain it on your own and provide examples. Doing everything you can for a customer is the extra mile. If you are looking for a great platform for your customer service team, HelpCrunch is probably one of the best out there, and there are also additional alternatives. 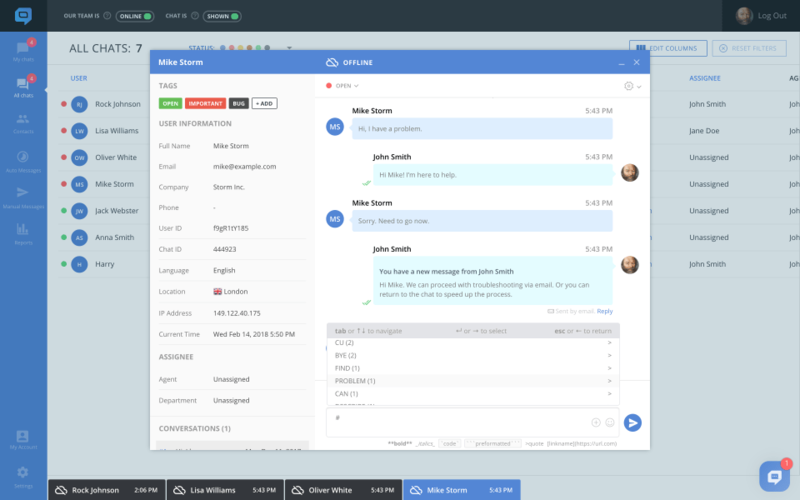 Not only due to HelpCrunch’s reasonable prices, but all the needed functionality to be on top of things is there including a modern live chat, email & chat messages automation, and a simple ticketing system. Not listening to your customers might be the biggest crime businesswise. Who else is better to tell you what people that buy your product need? And in a fast-paced environment where you need to put a lot of efforts to simply keep up, your improvement will be always held back ignoring users. So what are efficient ways of getting feedback? Surveys. Again, these are paramanout when it comes to hearing what your users have to say. Use questionnaires wisely to gather the information you really need. Direct contact. Check up calls, chat messages. Anything that helps you reach out to the user and ask them vital questions. Analytics. If you use any kind of tracking tools that monitor users’ behaviour, you can see what’s popular and not. Which should be a solid source if insights as well. Feedier is a great choice, especially for SaaS companies that want to be constantly in the loop. 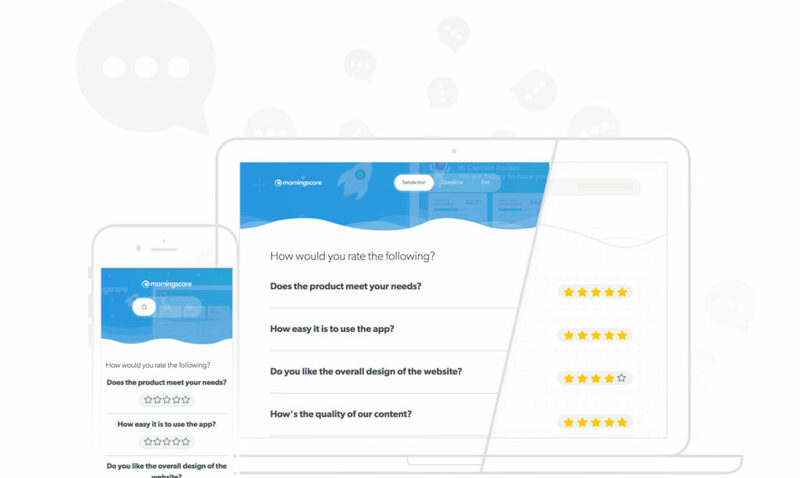 Either you need to prompt your customers to leave a certain kind of feedback, or you need to find out how your NPS score is doing, or even reward your customers for their participation, Feedier can help you take care of it. Referrals are a sweet-sweet fruit of word-of-mouth that your high customer satisfaction can generate. Getting customers from referrals is so great because you don’t need to spend money on their acquisition. This is the time where your efforts start paying off and working for you. But it doesn’t mean that you can foster this process. Here’ what you can do. Referral programs. Some companies encourage their customers to invite new customers by creating referral programs. Discounts, money rewards, freebies. There’s tons of things you can give in return for a paying user. Thank referrals. It feels good to be appreciated. Don’t underestimate the power of being nice with people. It will make them feel part of something bigger. Add a link to a referral form. Make it obvious that you are willing to accept new customers via referrals. EarlyParrot will help you create and run an effective referral program from top to bottom. There’s a strong conviction among the most successful gurus that customer satisfaction is a fundamental part of any business. It’s especially the case with SaaS companies that rely on regularly paying customers. Craft a perfect funnel with the focus on acquisition, onboarding, customer service, feedback, and referrals. These are the main elements of great customer satisfaction. Ready To Increase Your Customer Satisfaction? Start collecting feedback for free and understand how to delight your customers.